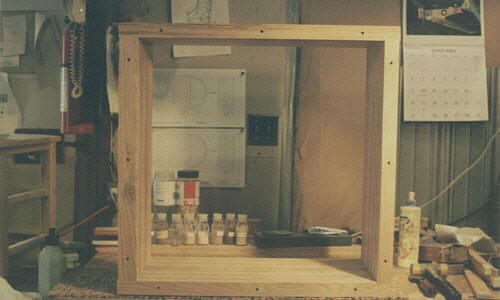 Here is the square cabinet all glued up. Notice the alignment holes on the cabinet face. These will be covered with walnut dowel pegs. 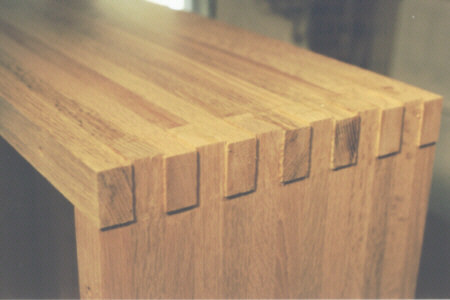 On the right also notice the overlapping finger joinery. The excess will be sanded off later.